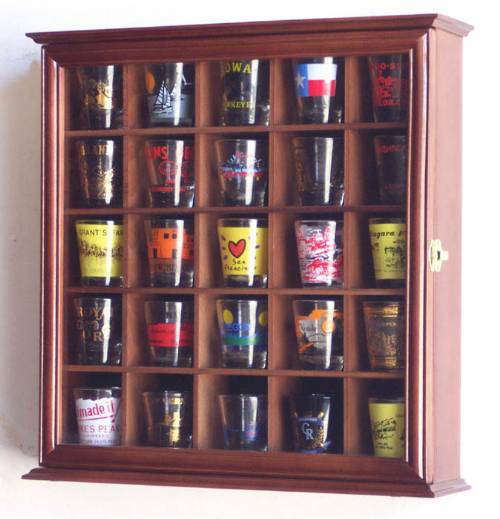 This solid hardwood case features a 98% protective UV acrylic door for keeping out dust and 25 compartments to show off 25 of your favorite standard size shot glasses. 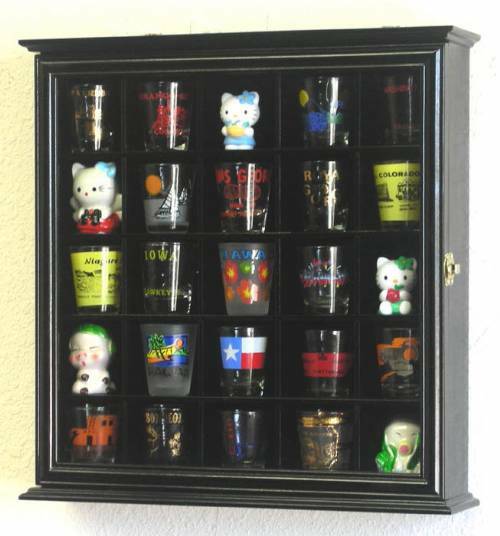 Back of the cabinet is lined with a lovely black fabric to give contrast to your shot glasses. Cabinet measures 15.25" wide X 3.75" deep X 15.50" high and features brass hinges, door latch and hanging hardware. Compartments measure 2 5/8" x 2 1/2". 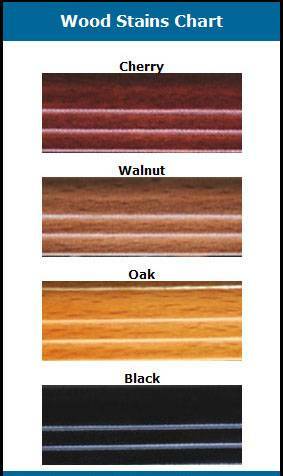 Available in Oak, Cherry, Walnut, or Black finish. 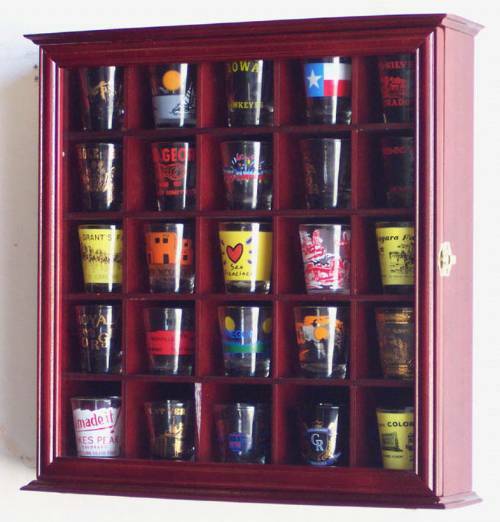 This is the perfect solution for your favorite shot glass collection!